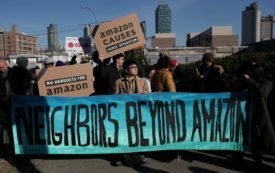 As the HQ2 deal collapses, the question becomes: Can the city can come up with a better model of economic development? 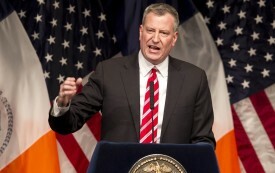 Bill de Blasio, the Happiness Mayor? 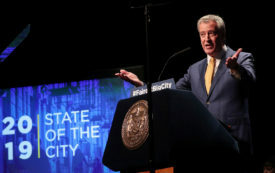 After seeming to retreat from his initial bold vision, New York’s mayor has returned with a plan for comprehensive health care and, yes, happiness. 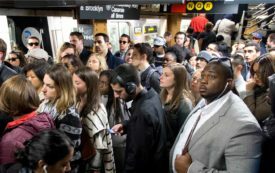 New York is struggling with competing housing, education, and transit crises. 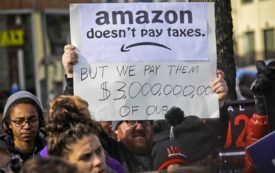 So why is it giving billions to a voracious mega-monopoly? 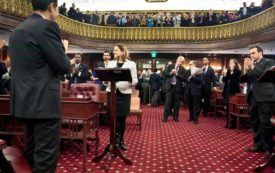 During the last four years, the council has passed significant legislation to stem inequality. Can it do better during the next four? A conversation with Juan Gonzalez and Joseph Viteritti about what the mayor did right during his first term—and what he needs to do better. So why are housing advocates up in arms? So why have elected officials let it molder and fall apart? 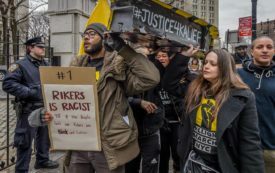 Is New York Mayor Bill de Blasio up to the challenge of closing Rikers Island? 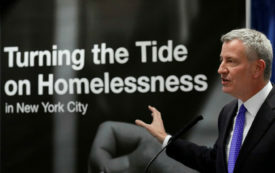 New York’s Mayor Vowed to Help the Homeless. Why Is the Crisis Growing? Bill de Blasio understands homelessness better than the mayors before him, but that hasn’t been enough to stem the crisis. 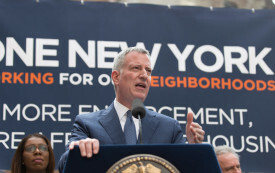 With “3-K for All in NYC,” Bill de Blasio is ramping up the fight against educational inequality.